Usher Decides To Put An End To The Herpes Lawsuit! Usher had a brilliant career so far, but his personal life is a disaster. Usher has one of the best careers in the music industry, but his personal life is a disaster, he was going through a bad divorce and his medical issue just made things worst for him. 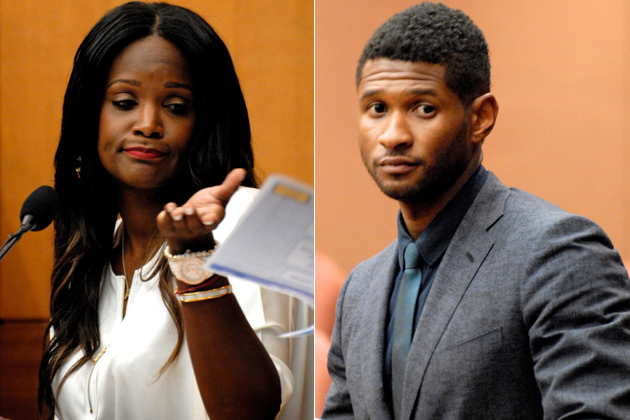 Usher’s first marriage with Tameka Foster ended up in a terrible divorce. Usher got married to Foster in the year 2007 and after a brief moment of marriage, the couple got divorced in the year 2009. It was a terrible divorce where both Usher and Foster fought a huge custody battle. Usher got married for the second time! After his huge divorce with Foster, Usher quietly got married to his longtime girlfriend and manager Grace Miguel in September 2015. No one ever expected that they would get married! These Hilarious And Crazy Snapchat Screenshots Will Make You Go WTF!! !